A couple of weeks ago we determined what it truly meant to be engaged (you can read about that here). But now that you're engaged, what are the next steps in planning your wedding? Here are five quick things to do now that you're engaged. Determine what's important to you at your wedding. Talk with your future spouse about what are things that cannot be missed at your wedding, whether it's photos, the kind of food, or a certain date. Be sure to write it down, and use it to help out with your budget. Set your budget and where money is coming from. Use an excel sheet (like the one we talked about here), write it down, but make sure that there is no mistake of your budget, and make it easy to stay on track of your spending. Get a planner (or binder) and write everything down that pertains to your wedding. Whether you get one of of Etsy, the Knot, Southern Weddings, or DIY it. If you've decided that you want to hire someone to keep track of the details, 1) go ahead and hire them, and 2) ensure that they have solid communication with you to keep you on track of when you need to purchase or secure contracts, when payments are due, etc. Learn the prices, averages, and things about the region you're getting married in and how it affects the wedding industry. 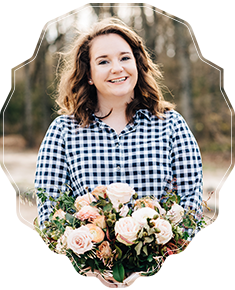 Just because a barn venue in Kentwood, Louisiana is one price does not make it the same or reasonable price as a barn venue in Dallas, Texas. Know also the differences in major fabrics and paper goods to make sure that you're not being overcharge for cardstock versus pressed paper or simple tablecloths versus elaborate or finely textured fabric. You can never know too much! Don't ask for or listen to everyone's opinions on your wedding. As soon as it comes out that you're engaged, everyone and their mother comes out of the woodwork to pry, offer advice, and give recommendations. Take it all in, but you do not have to follow it all. Value the thoughts and words of your closest circle, as well as your future spouse. Remember that generally if you ask for advice on one topic, you'll get advice on every topic. Hope this was helpful as so many are getting a kick start on their wedding planning! Don't forget to check out our Wedding Planning Timeline or our Budget Series. Happy wedding planning!